The countdown to the end of the password has begun, as Google toes the line of security key mechanisms; while this is not actual killing of the password, as it's still tied to pretty strict requirements. Titan Security Key is a phishing-resistant two-factor authentication (2FA) devices developed by Google that help protect high-value enterprise users from the most sophisticated attacks. It works with most popular browsers, with support from growing ecosystem of services on the FIDO standards, and only available via the Google Store or through a Google Cloud representative. While Microsoft had also introduced same security mechanism, with its Account holders requiring to signing in with their face or a security key instead of the regular password, which feature makes use of the Windows Hello biometric security or a physical security key. 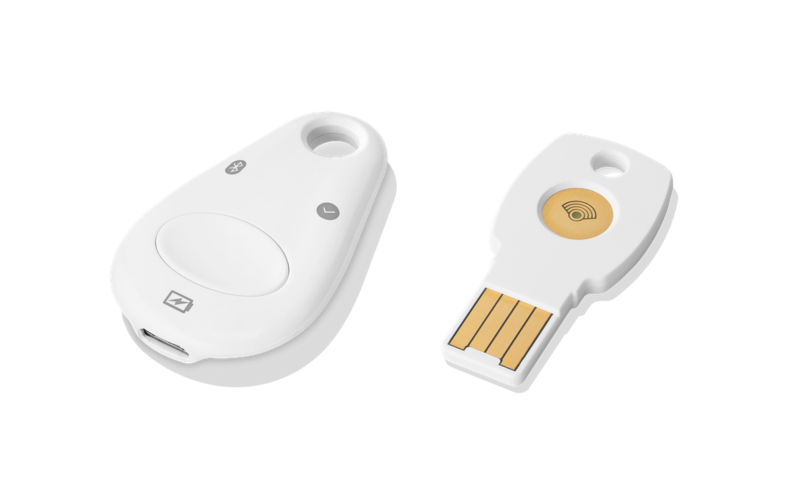 Google's new Titan Security Key costs only $50 and brings extra security to your Google accounts, including services like Facebook, Dropbox and others, with each key firmware stored in a secure element, preventing anyone to modify or extract the private data in the key which is authenticated with the Google service. The downside to a physical key, however is that it is liable to get lost, which situation may mean been locked out from your online activities, though Google has assured that there are backups with an extra key that can help you gain access to your account, as the recovery process take days. But still, the inconvenience remains the bane, just like any kind of two-factor authentication is complicated; that’s the price to pay for keeping your account safe. Although Google wants the security keys to be available for all, they can only be worth the trouble for administrators and highly placed individuals that are susceptible to targeted attacks, as the many requirements will be tiresome for the average user with little to nothing to spare.